Cinemajam 2014 Mobile App now available - Hello! Welcome to my blog! A few more weeks to go and we’re about to witness the brighter return of the country’s first-ever movie and music festival Cinemajam 2014. Ever wonder what to expect on this year’s celebration and what you should prepare? Keep an eye on every detail you have to know by downloading the Crizal Transitions Cinemajam 2014 mobile app on Google Play! 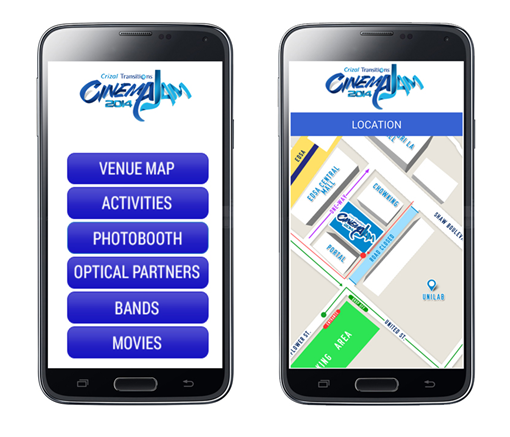 To help you maximize your Cinemajam experience, this app has been fully loaded with exciting and useful features including Maps, List of Outdoor Activities, Detailed Lineup of Bands and Movies, Branches of Optical Partners, and Built-in Photobooth. With the Photobooth feature, you can easily capture and share your best Cinemajam moments in the social media world using your smartphone or tablet. From thrilling outdoor activities like zip line, bungee, and wall climbing, to art installations and games, to outdoor movie screening on a giant LED screen and electrifying sets of local bands, Cinemajam is indeed jam-packed with tons of surprises. By downloading the Cinemajam 2014 mobile app, you can easily plan ahead and make the most out of this whole day spectacle happening on November 29 at the Greenfield Central District, Mandaluyong City. Gear up and brace yourself for an extraordinary weekend. Cinemajam 2014 tickets are available from Ticketworld. 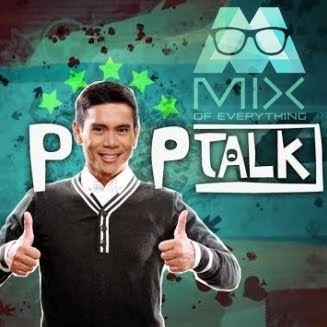 Call 891 9999 or visit www.ticketworld.com.ph. For more information, visit CinemaJam 2014 on Facebook (https://www.facebook.com/crizaltransitions), Twitter and Instagram (@cinemajam2014).